I hate using paper napkins. I feel wasteful and they don’t hold up well when even a portion of one is used. Yet I never had fabric napkins for everyday. It’s jut not a part of culture in America where we see cloth napkins as reserved for nice restaurants and holiday dinners at home. So I was really fascinated by David Lebovitz’ blog post about the French attitude on cloth napkins. After that I kept my eye out for napkins and found, unsurprisingly, that cloth napkins are expensive. This of course inspired me to make some since they are fabric after all. I realized while at Shiisa that I would end up making many, many more sets of these. 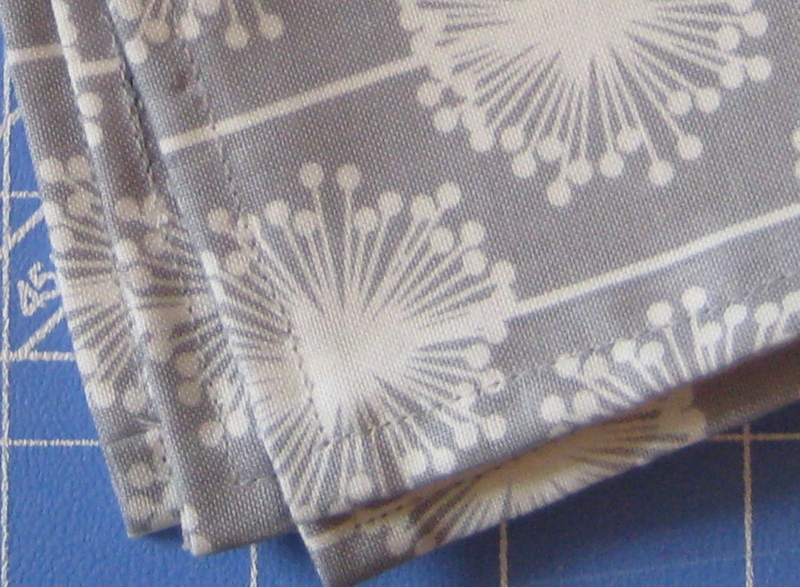 I used regular quilting cotton for these but they are beautiful in linen or a heavier cotton too. One thing to look for is a fabric with a muted or attractive reverse since the backside will be visible. It would be awesome to use reversible fabric too. 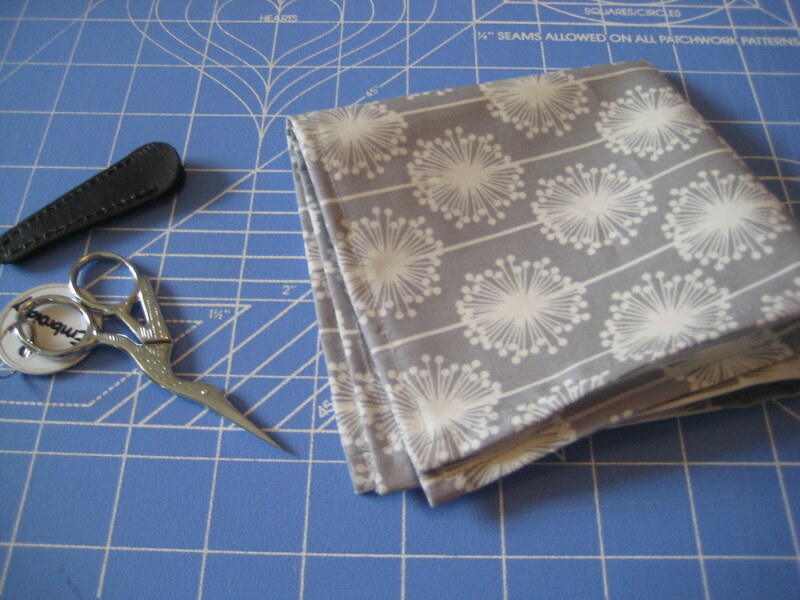 Step 1: Cut the fabric into 12-14″ squares. I measured at 12″ and got smallish napkins. The napkins are about 1″ shorter in each direction due to the seams. Do your best to follow the direction of the pattern. I had a stripe to deal with so I was careful to make sure it didn’t go wobbly or seamed on a diagonal. Decide which will be the top of the napkin. 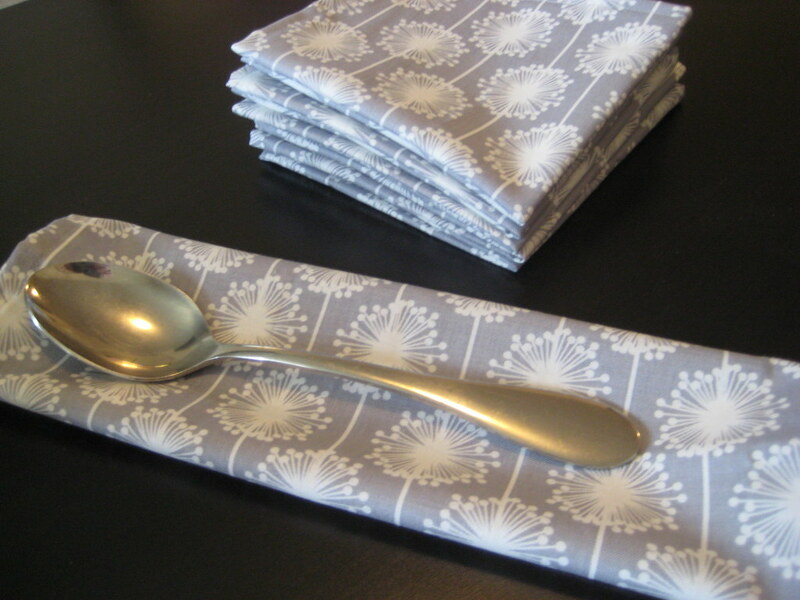 Step 2: Fold in 1/4″ from what will be the top and bottom of the napkins. Pinning is exceedingly important in this project. Pin carefully and make sure the seam is 1/4″ all the way across. Step 3: Fold those seams over on themselves snugly. Measure again (for good measure-ha!) 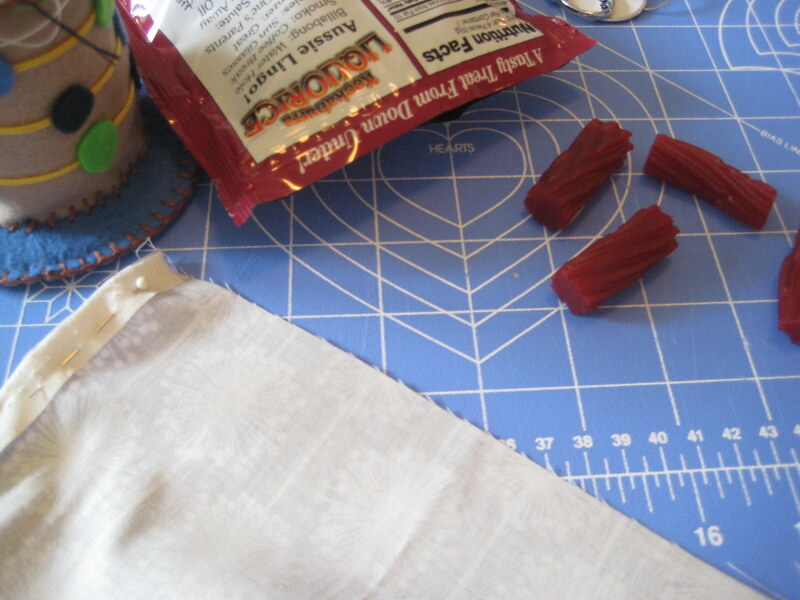 to make sure the folded seam is also 1/4″. Step 4: Repeat steps 2 and 3 on the sides of the napkin, carefully folding up the pinned top and bottom seams. Now take a break and eat some raspberry Kookaburra licorice. Step 5: Sew using coordinating or matching thread. I sewed with the seam to the left of the needle and used the presser foot as my guide. Round the corners squarely by lifting the presser foot, turning the fabric, and lowering the presser foot. Trim the loose threads and you’re done!…with one napkin. Let’s not joke ourselves and pretend this won’t be tedious project. But if you’re a sewer, you’re probably used to it. If you’re not a sewer, this is a good, simple project to wet your feet. See how nice the corners look? The napkins are small and perfect for everyday use. For fancy holiday parties it might be best to make BIG napkins because that’s what people are used to. But I don’t see the point in a giant lap tarp for regular dinners and lunches. That means these are quick to whip up too…I made these in one afternoon. 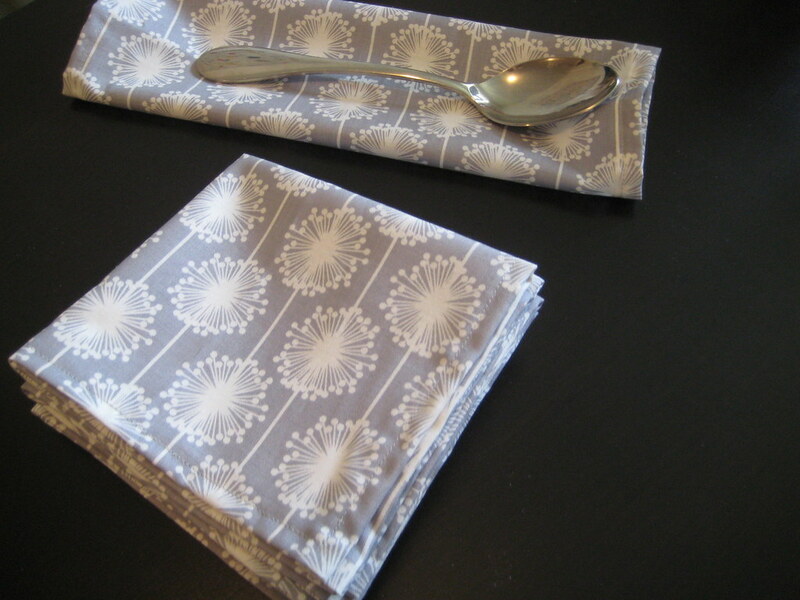 Make some napkins for your house! It will make every meal feel more special which a lot of people say is helpful in losing weight. If you treat eating meals as a positive thing it gives you a good outlook on food. Looking at food as the enemy, the menacing thing that makes you fat, isn’t healthy. Was that me on a soapbox? I’ll be done now. Go sew! 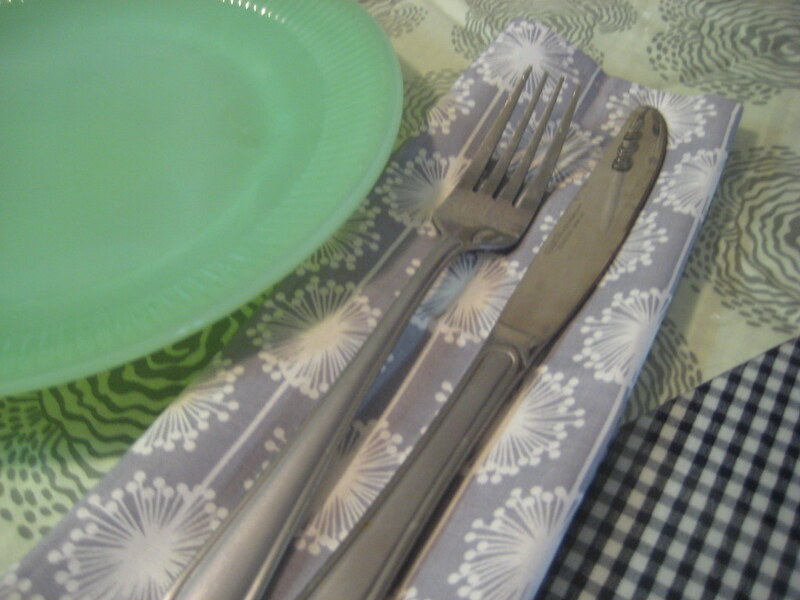 This entry was posted in Crafting and tagged crafting, homemade napkins, napkins, tutorial. Bookmark the permalink. Cute! I keep telling Kieran I want to use cloth napkins. He keeps telling me that I need to buy them first. Lame. Maybe when I finally get around to buying a sewing machine (and when I can trick Kieran into turning the spare room into a craft room), I will make some of my own!